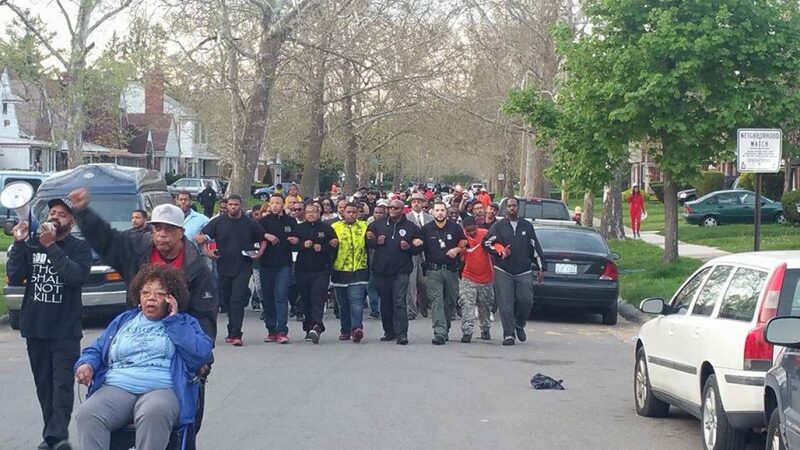 Detroit Night Walks: The Black Church Stands Up for Peace! DETROIT (WXYZ) – The crime and violence in Detroit, the carjackings, shootings and break-ins, have sparked a new initiative called “Night Walks” and they will be happening week after week. Bishops, pastors, parishioners and others will be walking through different neighborhoods to let people know someone cares and something is being done. Friday night was the first walk and 7 Action News went along. There were instructions and prayers, then walking and singing. It’s all intended to send a very serious message. They are tired of the crime and they want a better city for all the people who live here. They walked several blocks and even stopped cars to spread the word. They are calling themselves soldiers and say they won’t stop the walks until the crime rate goes down and even then they may continue. After their first training and “Night Walk,” on Friday on at Solomon’s Temple on Detroit’s east side , the Detroit Clergy Team organizing Detroit Night Walks are calling for anyone of good will to join them in prayer and set a new tone in the City. On Saturday May 26 at 2pm, thousands are expected to gather at five churches for a “313 Prayer Rally” to end the violence.